"I was asked to keep him quiet." Well Go USA has released a new official trailer for the Hong Kong action thriller film Paradox, made my Ip Man trilogy director Wilson Yip. Surprisingly, this is going straight to VOD and BR/DVD this May, not even getting a theatrical release in the US. The story is about a Hong Kong police negotiator, played by Louis Koo, who learns that his 16 year old daughter has disappeared Thailand. He travels to Thailand and teams up with Chinese officer Tsui Kit, played by Yue Wu, and his partner, Tak played by Tony Jaa, as they face off against American gangster Sacha, played by Chris Collins, who is operating a black market organ smuggling ring. The cast includes Ka Tung Lam, Jacky Cai, Ken Low, Hanna Chan, and Vithaya Pansringarm. This film looks very fun, with some tricky plot twists I'm sure. When his daughter goes missing in Thailand, a Hong Kong cop (Louis Koo) teams with local police (Tony Jaa, Wu Yue) to find her, but instead finds himself embroiled in a web of corruption and violence in this explosive thriller from famed action director Wilson Yip. 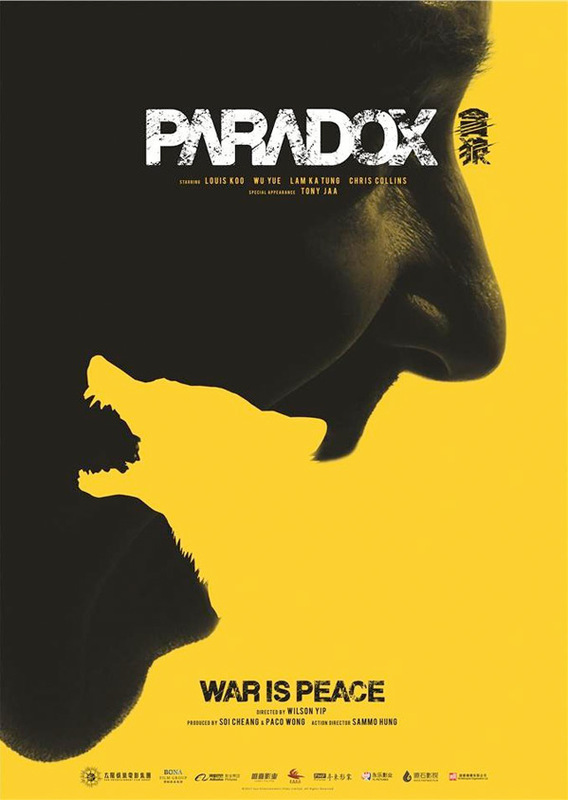 Paradox is directed by Hong Kong filmmaker Wilson Yip, director of the Ip Man trilogy, plus Bullets Over Summer, Skyline Cruisers, Dry Wood Fierce Fire, The White Dragon, SPL: Kill Zone, Dragon Tiger Gate, Flash Point, A Chinese Ghost Story, and more films previously. The screenplay is by Nick Cheuk and Lai-Yin Leung. This already opened in theaters in most of Asia last year, including China, and it also played at the San Diego Asian Film Festival. Well Go USA will release Wilson Yip's Paradox direct-to-VOD/DVD starting May 8th coming up. Anyone want to see it?